LSE Archivist Sue Donnelly writes about her recent discovery of Mahatma Gandhi‘s speech to a packed LSE lecture theatre. On 10 November 1931 Mahatma Gandhi spoke in the Old Theatre to an audience of LSE students. He was in London to attend the Second Round Table Conference on the Indian constitution, where he was the sole representative of the Indian National Congress. LSE alumnus Dr B R Ambedkar also attended as a representative of the “depressed classes”. Gandhi was born in Gujarat. He trained as a barrister in London where he was called to the bar at the Inner Temple in 1891. He later worked in South Africa, where his practice of civil disobedience was developed, and he returned to India in 1914. In 1921 Gandhi became leader of the Indian National Congress, which made a declaration of Indian independence from Britain in December 1929. The Indian National Congress had boycotted the first Round Table Conference but in 1931 Gandhi was invited, and agreed, to attend the Second Round Table Conference in London in September 1931. Gandhi, distinctive in his usual dhoti and shawl was a regular feature in the newspaper reports of the Conference. During his stay he lived at Kingsley Hall in the East End, which was run as a community centre with a nursery school and social events, by sisters Muriel and Doris Lester. It is unclear who invited Gandhi to speak at LSE or when the invitation was issued. A comment in the Clare Market Review for the following term mentioned the influence of the School’s India Society. Founded in summer term of 1922, it had invited other significant figures to participate in debates including Muhammad Ali Jinnah, later the first Governor General of Pakistan. The press reported that Gandhi had met with LSE founders G Bernard and Charlotte Shaw a few days before his LSE talk, on 6 November. 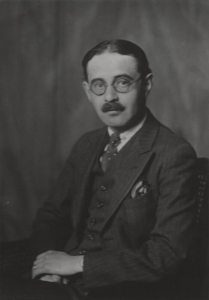 Another LSE figure, Harold Laski, Professor of Political Science, was closely involved in the Round Table Conference, where he gave advice on constitutional issues regarding the control of the army and a criminal code. He was also asked to negotiate with Gandhi and the Agha Khan about the constitutional position of religion in India. Laski’s ongoing interest in Indian independence was encouraged by his former student, Krishna Menon, who was based in London as secretary of the India League. It is likely that the speech was given in the Old Theatre, then the largest available lecture theatre at the School, and a press report cited in the Collected Works of Mahatma Gandhi indicates that he spoke to a packed audience of mainly English students. The paper thought it was possibly Gandhi’s largest English audience. 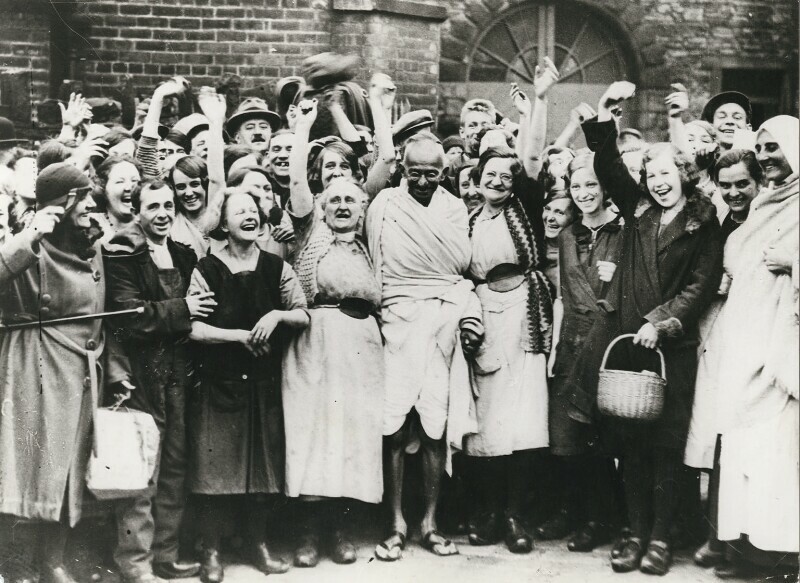 Gandhi spoke about the campaign for independence and answered a question about his attitude towards British people. Sadly there are no surviving photographs of the event. Gandhi left Britain on 5 December 1931 disappointed that no substantive moves had been made towards Indian independence. It was his final visit to Britain. To find out more about the campaign for independence and LSE’s Indian connections visit Journeys to Independence: India, Pakistan and Bangladesh in the LSE Library Gallery until 15 December 2017. The full text of the speech is printed in the Collected Works of Mahatma Gandhi vol 54: http://gandhiserve.org/cwmg/VOL054.PDF.